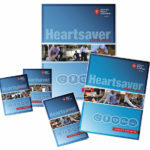 This page shows a list of upcoming American Red Cross Classroom Adult & Pediatric CPR/AED + First Aid. Copyright © 2019 CPR Delaware. All rights reserved.